The Yakima Herald-Republic’s Readers' Choice winners, including best brewery, were announced September 26. Both print and online readers cast more than 10,000 votes for their favorite businesses, nonprofit organizations, events and individuals, honoring them for being the best at what they do. 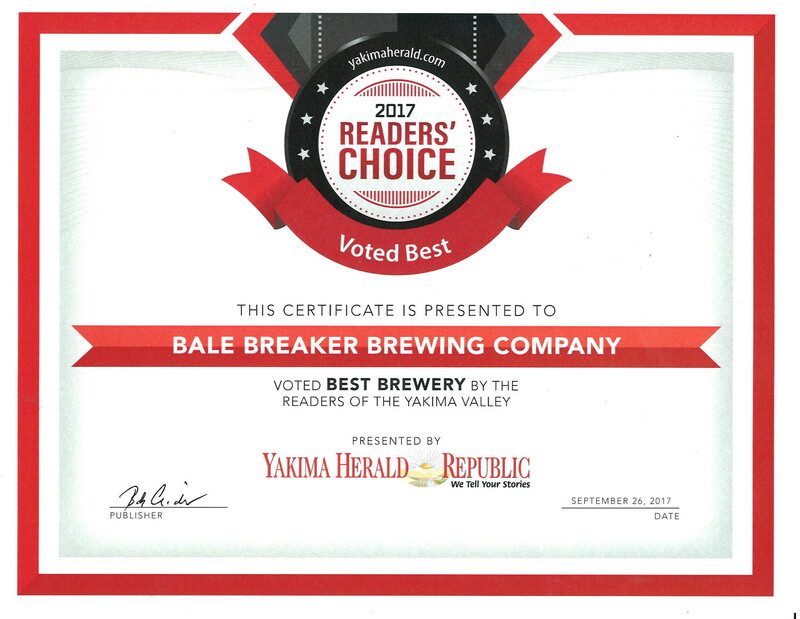 Thanks for voting Bale Breaker the Best Brewery in Yakima!